No Fees. No Commissions. Skip The Hassle Of Repairs, Showings, And Months Of Uncertainty. Put More Cash In Your Pocket. What Do You Have To Lose….? We Buy Houses Anywhere In Memphis And Other Parts of Tennessee, And At Any Price. Check Out How Our Process Works. We’re Ready To Give You A Fair Offer For Your House. 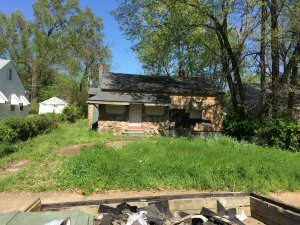 If you want to sell your Memphis house… we’re ready to give you a fair all-cash offer. Do You Need To Sell Your House in Memphis, Tennessee? We help property owners just like you, in all kinds of situations. From divorce, foreclosure, death of a family member, burdensome rental property, and all kinds of other situations. We buy houses in Tennessee… including Memphis and surrounding areas and pay a fair cash price, fast. Sometimes, those who own property simply have lives that are too busy to take the time to do all of things that typically need to be done to prepare a house to sell on the market… if that describes you, just let us know about the property you’d like to be rid of and sell your house fast for cash. I was referred to Memphis Property Hub by a friend because I needed to sell my house fast due to a job promotion. I contacted Memphis Property Hub & Devin consulted with me and explained the process of buying my home. We closed in 14 days and I was on my way. I moved back to Memphis a year later lol and contacted him again to help me find a house with a good amount of equity in it. I recommend Memphis Property Hub for any and all real estate assistance. They have been nothing but a big help to me. Thanks again! Devin Davis is very prompt, honest and very professional. He came and showed us our home on a national holiday! He went the extra mile to make sure we were happy and taken care of as his buyers (all expectations for home and titling and repairs). I always recommended Devin Davis and will not hesitate to use Devin Davis in any and all Future Real Estate service! 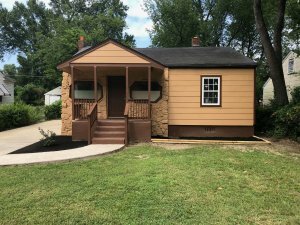 How Do I Sell My House Without An Agent in Memphis?